Safety is our number one priority. Upstage strives to educate and train our staff, from the hands to the riggers, to the rope access employees. We research and test our equipment and prepare them for the roles each plays in our industry. 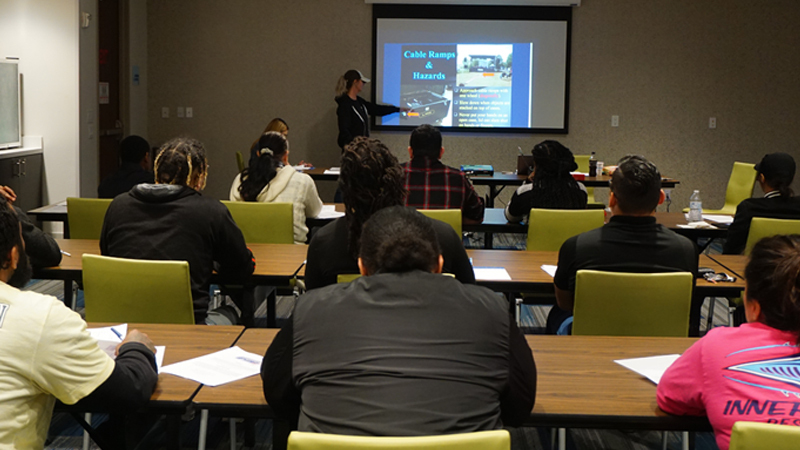 First things first, safety orientation is a must, we instruct our new employees on how to work safe and what to expect on your first day of work. Our main mission in safety is for our teams to go home to their families safe and sound at the end of the gigs. 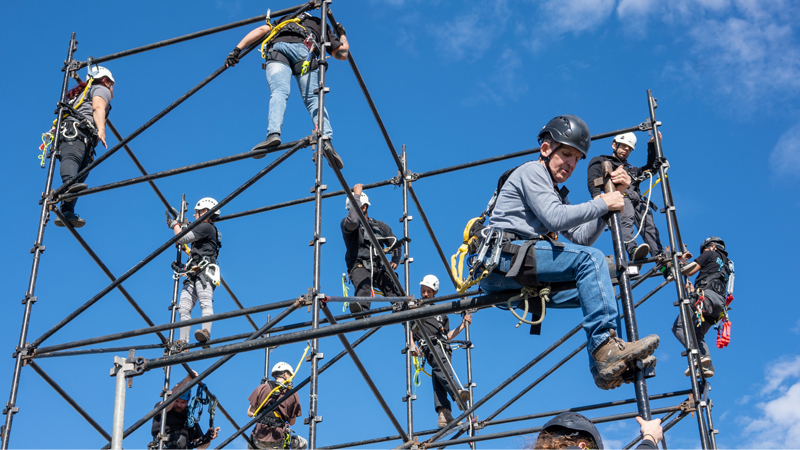 Our rigging training takes place all over Texas, such as Dallas, San Antonio, Austin and Houston. Upstage makes sure the crews are ready to go. Research and practice keeps us preparing for the worst. We make sure to teach our riggers and rope access trainees how to rescue each other in emergency situations. Tomcat roof training is one of our main subjects of discipline. We take care of our gear and our staff by getting them ready for the gigs. We prepare our crews with their right gear and skills needed to accomplish the job. Our new trainees learn safety is key when working at heights.